India has been facing an inflation headache for more than 2 years now. Nothing seems to be able to tame the beast to levels the government would like to. The central bank (RBI) is doing what it can (raise the benchmark interest rates), the government is doing what it can (issue positive statements, push supply side factors to the extent possible etc. ), and the people are doing what's the only option for them (bear the brunt!). I posted an update in social media, and people brought in fantastic angles of the story to the fore. It turned out to be a very lively and intense debate, sure to benefit anyone who reads through the whole thing. Enjoy the heated debate, in all shades! I have not edited the comments. Sandeep Manudhane: It's quite amazing that the Indian central bank (RBI) is following an inflation-busting strategy using higher interest rates, quite independent of what the government may want. This highlights two things (1) The RBI may be becoming more autonomous and free of Finance Min's control, and (2) It is charting a course different from other nations in the world (ex. Turkey that reduced its interest rates, hoping for higher growth & hence lower prices). Munish Sharma: Perfectly put Mr Talwar. Sandeep Manudhane: Bingo. That's precisely why I started my status with "It's quite amazing..."
Munish Sharma: Just a counter argument: The monetary tightening effected so far by the Reserve Bank has helped in containing inflation and anchoring inflationary expectations, though both remain at levels beyond the Reserve Bank’s comfort zone. As monetary policy operates with a lag, the cumulative impact of policy actions should now be increasingly felt in further moderation in demand and reversal of the inflation trajectory towards the later part of 2011-12. As such, a premature change in the policy stance could harden inflationary expectations, thereby diluting the impact of past policy actions. It is, therefore, imperative to persist with the current anti-inflationary stance. Sandeep Manudhane: Yes, that's why it's politically unpalatable - action happens, results take time. But RBI Guv need not bother about political feedback, he is not an elected official. Ajay Pal: True sir..and addition to this RBI increased the Repo rate and revers repo rate with 0.25% which is the 12th hike after 2010. And i think due to this GDP growth rate, which was 8.8% in June 2010 has been decreased to 7.7%. Sohil Mahendru: ‎@ sunil talwar that is what the point is the basic resources are the vital point rest is the game of numbers. Economy and all things depends on demand and supply. Sohil Mahendru: Sandeep Manudhane sir dont you think there are various factors which had given rise to " Mahangayi "? Just to say resources used in non-vegetarian meal are far more those used in one vegetarian meal. To prepare one chicken it has to be given, so much grains and water other stuff. On the contrary if those resources were used to provide food to other people. More than 200 people in our country can fill there stomach, all the poverty could have been ended its just the thing in which way we can interpret. Sandeep Manudhane: Yes Sohil - non-veg food is extremely energy-intensive (even before it's consumed!). But that's the food of choice for many. Abhishek Jain: Well, Raising interest rates is not a very efficient tool to curb inflation, as our economy is not credit based such as USA, where you buy everything on credit. The major problem of India is food inflation and we don't buy vegetables taking loan from a bank, so how come raising interest rates solve the basic problem?? Then what is the solution? The solution is to approve FDI in sectors such as retail, as FDI are more permanent source of growth than FIIs. An FII can remove their money any time they want while an FDI is for long term. But Alas!! The politics!!! Raising interest rates just reduces some percentage points from our growth rate every time. Why China grows at 9-10% and we fell even below 8%? Lower interest rates and improve infrastructure to attract FDIs. Rajesh Kumar: The basic idea is that if inflation is more than the rate of saving people will avoid saving and spend more and saving rate will come down. The major funding of government debt comes from public instead of institutionalized debt. Higher spending in consumptions is not good for any economy. The present day inflation is not based on demand and supply effect as despite the bumper crops and good monsoon inflation has not come down. 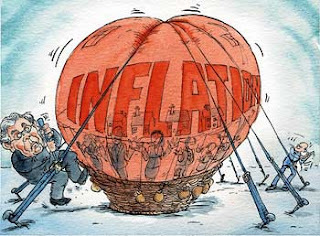 Inflation can favour borrowers at the expense of savers – because inflation erodes the real value of existing debts- if real interest rates are negative. These are the reason RBI always tend to increase the rate to counter the inflation. I think Government should increase the Petrol prices say by Rs 50 and reduce the diesel prices by 20.00. The burden on petrol will not only tax on luxury (Big cars or Buffet Tax on Obama) but also someway reduce the automobile pollution. The Petrol users can be asked to avoid unnecessary petrol vehicle and to use the public transport. At the same type VAT on Diesel vehicle purchase should also be doubled or increased substantially which will reduce the freight and carriage charges which will necessarily reduce the price of essential commodities. Similarly to check the pollution we need a law that a particular type of color car of private vehicle should run run on a specific day. Say white run vehicle should not run on Sunday, Red on Monday, Green on Wednesday, etc..
Sunil Talwar: Don't run after cars. You will run out of steam and nothing will come out of it. Petrol or diesel price will not control inflation. Prateek Patel: Nice One Sir, our Central Bank is acting Capitalistic..!!! But, it will again fail because our economy's DNA(which is socialistic indeed) will not let it happen..!!! Abhishek Jain: Well actually raising interest rates cannot be considered as capitalistic approach, as Capitalism works on 'Laissez faire' i.e. no intervention of Govt., while our Govt. controls everything. For ex. The Petrol pricing, in which we rank among one of the most expensive countries, due to excessive duties and surcharge on that. However the austerity approach of RBI saved our banks from investing in low rated debts, thus we were largely unaffected by Euro debt crisis. But raising interest rates to curb inflation, is not a good or at least permanent way, it is slowing our growth. 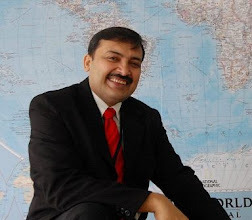 Abhishek Jain: ‎@Rajesh Kumar, I agree with you, because the excess food grain is rotting in the inefficient storage and the public has to face the inflationary prices due to the Future trading of Agri products. Thus the Commodity Trading of Agri and Food product should be banned for a certain period of time till we have better tools to fight inflation than interest rates. Sumat Singhal: sir i reserve my opinion, first lowering interest rate may hinders economic growth and RBI is considering priority of growth over inflation and second even on behalf of govt it is not clear that it really wants to control inflation although RBI is autonomous and independent and governor D subbarao has also made it clear. Jonathan Livington Seagull: The FM has always maintained RBI had an autonomous role, though in concurrence with FM & The Planning Commission for the fiscal policies. Turkey's case is a stray case altogether where Islamic Laws in relation to Interest were also considered. In the case of RBI only RRR etc can not curb the nation's Inflation; the other factors like Demand Supply, Prices of commodities like Oil, Budget Deficit, Fiscal Deficit all account to Inflation. Ali Mn: Infact if you watch it closely, the hike has more to do with feeding the interests of the big banks. The logic is simple; the rates get higher so that govt. bonds are issued at higher interest rates and who are the buyers..guess..yeh...banks and financial institutions..so they make more money. Not this hiking interest rate has other side too. It not only absorbs money but on th other hand also gives bank a chance to increase the floating rates on the loans given to borrowers. Also, as the bank increases its portfolio of RRR, it can also lend at an increased amount to the public. And here the spiral generates. Now the bank has more money to lend as compared to before hiking the rates. Banks have dual advantage of the hike i.e. increased lending power - one from the increased portfolio of RRR and other from the increased deposits from the people. Was a wonderful debate, wasn't it! GOOD NEWS ON PROTON HIGH COURT CASE - WE WON!